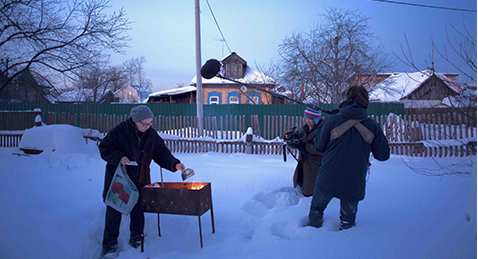 When in 2014 Dutch-Russian lmmaker Aliona van der Horst inherits one-sixth of the small village house in the Russian countryside where her mother grew up, she is launched on a journey into the past. As the house reveals its mysteries and secrets, Love is Potatoes unfolds a tale of six sisters—ordinary people who experienced famine, war, and Soviet terror. The sisters’ immense bravery and lasting fear marks a generation in Russia and sheds light on aspects of life in Russia today. In Russian with English subtitles.